On the scene of 2017 WORLD TOURISM AWARDS, H.E. President Dr. Anton Caragea of European Council on Tourism and Trade hailed Cambodia example as a beacon in a world in need of a model and appointed H.E. Prime Minister Academician HUN SEN as the world`s GLOBAL AMBASSADOR FOR TOURISM AND SUSTAINABLE DEVELOPMENT GOALS. WORLD TOURISM AWARDS ceremonies included and the proclamation of Phnom Penh as the WORLD CAPITAL OF CULTURE AND TOURISM, the supreme tourism recognition for cities and regions encompassing exceptional heritage. 2017 has marked a new height in the relations between Europe and Kingdom of Cambodia in the fields of cultural, development and tourism cooperation with the climax being the visit of European Council on Tourism and Trade Presidential delegation (ECTT) in Cambodia between 1 to 11 December 2017. European Council on Tourism and Trade President, Professor Dr. Anton Caragea congratulates the author of Cambodia`s economic miracle: H.E. Prime Minister Academician HUN SEN. The visit of the European presidential delegation headed by ECTT President, Professor Dr. Anton Caragea has come in recognition of the incredible strides obtained by Cambodia in the field of tourism in 2016 and 2017 as WORLD BEST TOURIST DESTINATION. The Kingdom of Cambodia has become the leading country in tourism development with more than 1,6 million tourists growth in only a year from 3,5 million tourists in 2015 to over 5 million tourists in 2016. With a 40% year to year increase in incoming number of tourists Cambodia leads in world tourism development. Phnom Penh hosted the President Anton Caragea ECTT delegates and was crowned as WORLD CAPITAL OF CULTURE AND TOURISM. The visit of world tourism institution of European Council on Tourism and Trade was also in recognition of Phnom Penh as WORLD CAPITAL OF CULTURE AND TOURISM and in recognition of Prime Minister of Cambodia, Academician HUN SEN as the GLOBAL AMBASSADOR FOR TOURISM AND SUSTAINABLE DEVELOPMENT GOALS. 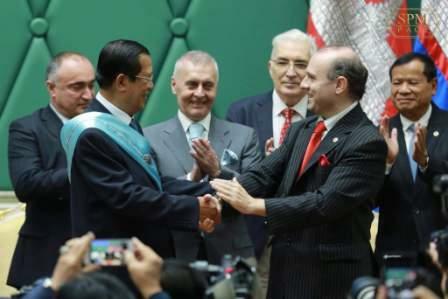 Academician HUN SEN is proclaimed to the world as the GLOBAL AMBASSADOR FOR TOURISM AND SUSTAINABLE DEVELOPMENT GOALS. The visit included a rich and diversified cultural program calculated to present to ECTT delegates the heritage, cultural and historical treasures of the Kingdom. The high-level delegation toured the coastal region of Cambodia including the province of Kampong Som, Sihanoukville and the islands of Koh Rong and Koh Rong Sonleom. 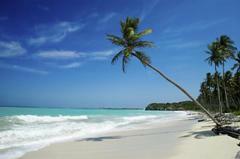 Sihanoukville: the world`s most cleanest beaches! The Cambodian Riviera is an incredible destination uniting history with splendid beaches with lush forest and balmy climate all year round creating an attraction pole for tourists appreciated Professor Dr. Anton Caragea ECTT President. Cambodia must emphasize the incredible potential of water, sun and relaxation offered by the islands area and this will be the home of more than 1 million tourists and the base for another growth in the Cambodian tourism industry. The Cambodian coast line: the new address of paradise! The Presidential delegation headed to the north to the culturally rich and historical charged space of Siem Reap and Preah Vihear. Visits to the incredible pyramid temples of Koh Ker, witnessing King Jayavarman IV incredible prowess and unstinted desire to build one of the world miracles in the jungles of Cambodia was an emotional experience. Koh Ker as a 7th world wonder ! Mark Doda, Chairman of Balkan Tourism Organization. Mark Doda, Chairman of Balkan Tourism Organization declared Koh Ker as a 7th world wonder, a place of absolute awe and incredible spiritual dimension, a magnet for tourists worldwide. You cannot see Koh Ker and not want to come to Cambodia one more time and one more time. Koh Ker is a love story carved in stone and a perfect witness of the grandeur of Khmer people appreciated Chairman Mark Doda. The visit encompass a stopover at the Preah Vihear, the greatest temple of Indochina, an architectural wonder and restored to the Kingdom of Cambodia after a long and complicated judicial battle in the court of Hague who decided unequivocally that the Kingdom of Cambodia is the owner of this sacred jewel in terms of international law, treaties, history and legacy. Preah Vihear: the larges and most impressive temple of Indochina. Preah Vihear is the living testament of the Khmer people ingenuity, determination and love for beauty and glory appreciated President Dr. Anton Caragea. Other visits had taken place at Beng Melea temple and a special visit on Tonle Sap the inner sea of Cambodia and a boat trip on one of the world largest freshwater lakes and the breadbasket of Cambodia. Delegates toured the lake and the water-based villages and have a layover at Kampong Pluk Community and Prek Toal community-based tourism. Tonle Sap the inner sea of Cambodia! Tourism has become a part and parcel of the livelihood of these regions and a breadwinner for families, registered Trade Chairman Mihai Prundianu. I encourage world tourist to come to Cambodia, to visit rural and distant communities, to buy artisanal products and to support community-based tourism as a way to foster a better life and also to enjoy a positive experience and a traditional way of life. The center of the visit was the incredible discovery of the touristic and cultural riches of Kompong Thom province culminated with a tour to the Sambor Prei Kuk Temples registered as UNESCO heritage sites in 2017. Sambor Prai Kuk is the mythical capital of the fabulous Kingdom of Chenla. Sambor Prai Kuk is the mythical capital of the fabulous Kingdom of Chenla (Zenla in Chinese chronicles) and is completely in tune with the ancient descriptions as the most beautiful city in the world. A host of incredible rich decorated temples, magnificent towers of worship and powerful gods spring out of the jungle in a dance of stone and brick that is not only a precursor to the marvels of Angkor but a marvel in his one right. No man cannot say is cultured and visited the world if it not has stopped at Sambor Prei Kuk, this is where the world architecture and the greatest dreams of Angkor where first-born, the temples of Sambor Prei Kuk are the testaments of a rich and powerful civilization that united Gods and people for the first time in Indochina history, stated the significance of the monuments Professor Dr. Anton Caragea. The delegates toured Phnom Penh and have a chance to discuss future investment projects in the capital with the Governor of Phnom Penh Mr. Khoung Sreng. ECTT Director Pavel Avramoiu established a program for hotel building and investment in the capital and Cambodia Riviera area. 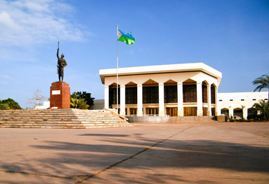 ♦ WHAT IS A WORLD CAPITAL OF CULTURE AND TOURISM? 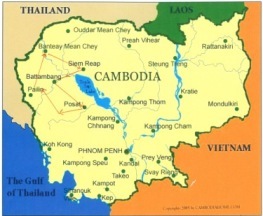 ♦ WHY IS CAMBODIA WORLD BEST TOURIST DESTINATION? The coastal region of Cambodia with incredible clean waters, white sandy beaches and large golf facilities will become a magnet for investors in tourism worldwide appreciated Mr. Pavel Avramoiu. H.E. Professor Dr. Anton Caragea – European Council on Tourism and Trade President receives the silver platter of Phnom Penh from H.E. Minister of Tourism Dr. Thong Khon. European Council on Tourism and Trade delegates held meeting with Ministers of Land Management and Development, Environment and have a long exchange of views with the Minister of tourism H.E. Thong Khon in a friendly and amicable atmosphere discussing new cooperation projects. On December 9, 2017, on the scene of 2017 WORLD TOURISM AWARDS, H.E. President Dr. Anton Caragea hailed Cambodia example as a beacon in a world in need of a model and appointed H.E. 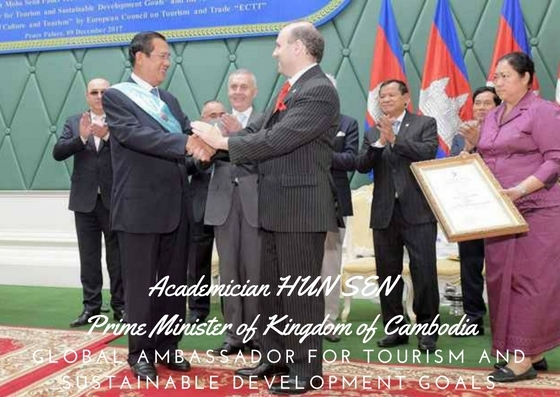 Prime Minister Academician HUN SEN as the world`s GLOBAL AMBASSADOR FOR TOURISM AND SUSTAINABLE DEVELOPMENT GOALS. H.E. President Dr. Anton Caragea hailed Cambodia example as a beacon in a world in need of a model and appointed H.E. Prime Minister Academician HUN SEN as the world`s GLOBAL AMBASSADOR FOR TOURISM AND SUSTAINABLE DEVELOPMENT GOALS. Academician Mircea Constantinescu, European Tourism Academy Director had also made public the inscription of Phnom Penh, Cambodia`s capital as WORLD CAPITAL OF CULTURE AND TOURISM, the world most prestigious designation for cities and regions of world significance and value. H.E. Prime Minister Academician HUN SEN receives PHNOM PENH registration act for WORLD CAPITAL OF CULTURE AND TOURISM status. 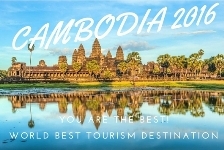 WORLD TOURISM AWARDS 2017 marked the transformation of Cambodia in a world model of tourism and development and the country with the most rapid tourism growth in the world in 2016/2017. Minister of Tourism of Kingdom of Cambodia H.E. 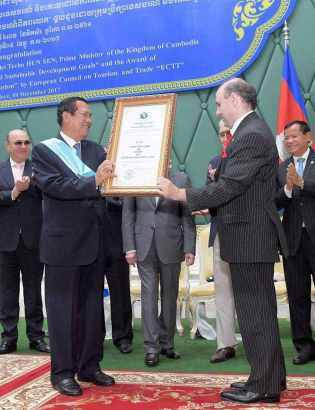 THONG KHON received the official congratulations from Prime Minister HUN SEN for his achievements in obtaining WORLD`S BEST TOURIST DESTINATION status for Kingdom of Cambodia. The visit of European Council on Tourism and Trade representatives offered a new global standing for Cambodia on world tourism stage and proclaiming Phnom Penh as the WORLD CAPITAL OF CULTURE AND TOURISM will be another tourism booster for the nation as 2016 World`s Best Tourist Destination Award succeeded in bringing a plus of 1,5 million tourist and 2 billion dollars to Cambodia`s economy. DALI HAUTE PARFUMERIE-WORLD FAVORITE PERFUME FOR 2017and 2018. The recommended perfume for 2017 and 2018 is uniting the craftsmanship and savoir faire of famous perfume creator Alberto Morillas with the unique jewels inspired by Salvador Dali. A must have! THE MAGIC OF CAMBODIA! THE MAGIC OF WORLD`S BEST TOURIST DESTINATION! 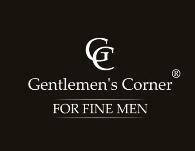 GENTLEMEN'S CORNER – EUROPE`S OFFICIAL DIPLOMATIC PARTNER GENTLEMEN’S CORNER is recognized as the EUROPEAN OFFICIAL DIPLOMATIC PARTNER. For all who admire the classical elegance, who value the well tailored fashion and are looking for a tried and tested creator for diplomats! DALI HAUTE PARFUMERIE-WORLD FAVORITE PERFUME FOR 2017/2018. The recommended perfume for 2017/2018 is uniting the craftsmanship and savoir faire of famous perfume creator Alberto Morillas with the unique jewels inspired by Salvador Dali. A must have! TOURISM FOR DEVELOPMENT! 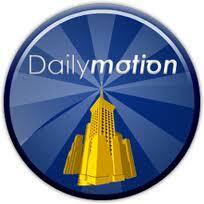 WORLD TOURISM INSTITUTION!